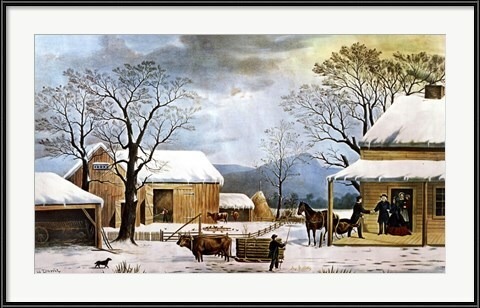 Currier and Ives’ prints are a safe bet when decorating a colonial or cape cod home. 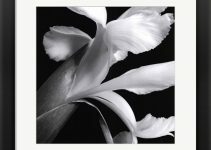 These timeless images radiate a traditional aesthetic, consequently, we stock a good number for quick shipping. They’re essential Americana, and it comes as no surprise that Home, Thanksgiving is one of the most popular Currier and Ives paintings in our collection. 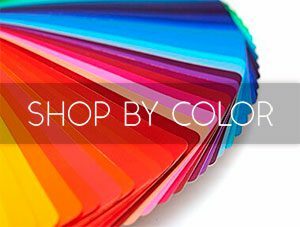 It’s an excellent choice for the dining room! 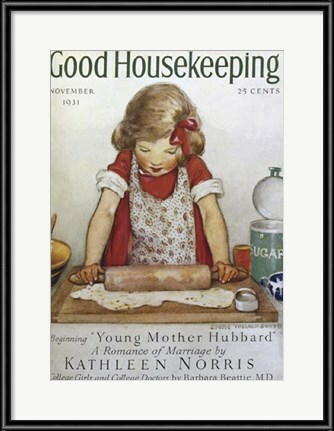 Vintage magazines work well in many rooms, and this November 1931 Good Housekeeping cover is a timeless classic. Close your eyes, and you can smell the pie baking! 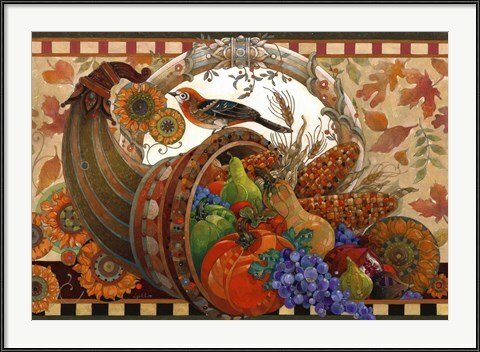 Thanksgiving artwork can create a lifetime of memories for kids and grandkids. 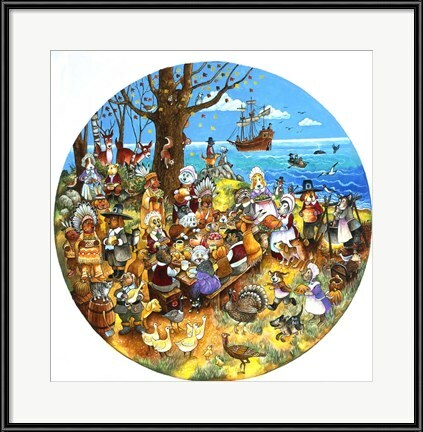 Holidays are a favorite topic for Jennifer Zsolt’s lighthearted and laid back watercolor and ink paintings. Thanksgiving gathers all the usual suspects in the corral. 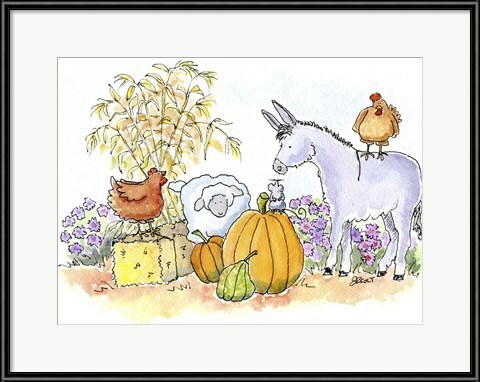 The tiny gray mouse holds court atop a pumpkin, with the chickens, donkey, and lamb hanging on every word. This one’s sure to bring a smile. Bill Bell’s Paws for Thanks is jam-packed with happy puppies playing the roles of newly-arrived Pilgrims and Native Americans. The Thanksgiving picnic table overflows with tasty treats, as the squirrel, deer, and ducks look on. The holiday’s bond transcends time and species, above all, although the turkey may beg to differ. 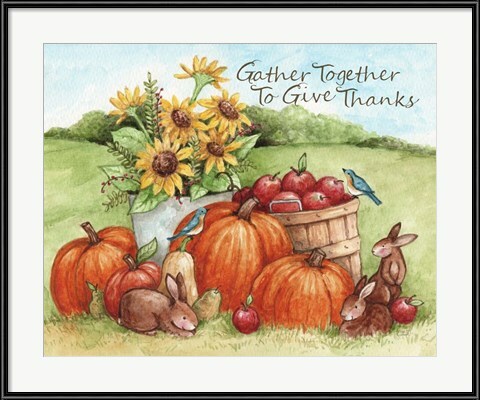 Our collection of Thanksgiving word art celebrates the universal message of gathering and gratitude, in a wide range of styles. 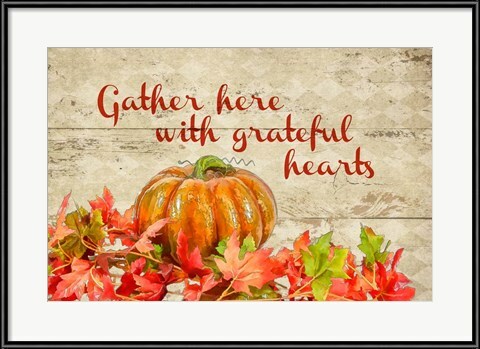 Gather with Grateful Hearts by Ramona Murdock is ideal for display in the kitchen, entryway, or dining room. 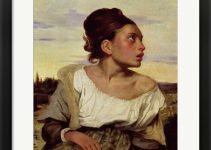 Likewise for Melinda Hipsher’s Gather Together to Give Thanks. It’s is a versatile choice, as well! 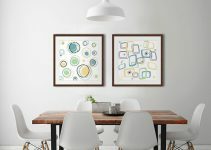 Both are available in custom sizes and as canvas prints, in addition to traditional framed art.